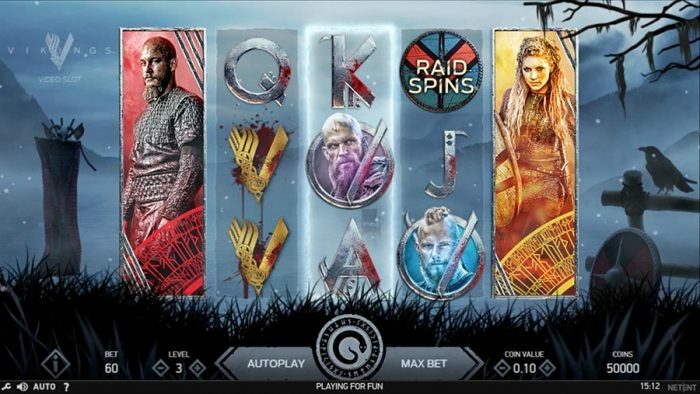 As part of their exclusively branded slot series, NetEnt have taken on the TV show Vikings™ as the inspiration behind one of their latest slot releases. This slot machine game makes use of the show’s soaring popularity ratings to incorporate a wide range of unique and widely entertaining, at the same time rewarding features for the interested player audience. Considering it is based on the TV show Vikings™ as its main theme, the backdrop of its reel set is bound to be set somewhere in the mountainous region of their mainland. Along with an icy lake and a single raven by it, the slot features the main 5×3 reel grid comprised of low-paying symbols and high value premium ones. The former are the basic 10, J, Q, K and A covered in blood to further illustrate a gloomy landscape, while the latter provide players the premium experience of playing with Bjorn, Floki, Lagertha and Ragnar Lothbrok, as well as the Vikings™ logo as the highest paying symbol. These reel elements can pay all ways across the 243 paylines in the main game, with plenty of additional features to benefit players. The Hotspot feature is one of them, illuminating the 3rd middle reel of the grid. It is important to mention that the Vikings™ characters can appear stacked, as the landing of any of these fully on the 3rd reel will change all the rest Vikings™ symbols into the same one. Other than this, there is the Shield Wall feature that appears as 3×2 or 5×2 cluster of the Shield mystery symbol. As such, this cluster changes into a random premium Vikings symbol and significantly increases players’ payout potential. This feature compensates for the lack of a Wild symbol in this reel set, and further adds to the slot’s overall entertaining quality. Ultimately, there is the Free Spins feature that every slot player expects to benefit from, and NetEnt doesn’t let its players down. 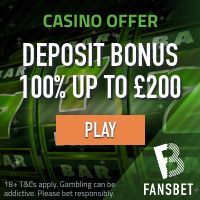 In fact, this Vikings™ slot game features a specific Raid Spins free spins bonus round game, offering a new 7×5 reel grid and an astonishing 78,125 pay ways that are bound to trigger more than satisfactory wins. In order to trigger the Raid Spins, players will need to land 3 Scatter symbols on reels 3, 4 and 5, awarding players 7 free spins. The round cannot be re-triggered straight from the bonus game, as the Scatter is excluded from the full range of symbols featuring the particular 7×5 reel grid. Nevertheless, the Raid Spins are accompanied with a Hotspot feature even more rewarding than the main game – this time, the Hotspot expands to cover all three middle reels. Once again, it functions to trigger payouts the same way, i.e. should a stacked premium Vikings character symbol land on the Hotspot, all other such symbols change into the same one. Cases where more than one stacked symbol lands in the Hotspot, the leftmost one is taken as the relevant one that will cause all others to change into it. 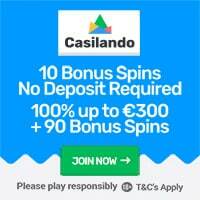 Under these circumstances, players have the chance to win up to 2000 times their stake per spin, or a total 14,000 times throughout the Raid Spins round. With a 96.05% RTP estimated for this medium variance slot, its wide bet size range does not seem all that rewarding. Nevertheless, there are more than enough features, as well as symbols to provide players with a regular payout on both the 5×3 and the 7×5 reel grid. Vikings™ video slot has been released by NetEnt on the 22nd of November 2018! Featured: Get 10 Free Spins without wagering requirements at BGO! Footage of Vikings™ video slot!